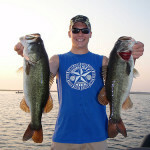 OutdoorImpulse.com Outdoor activities blog for water sports, hiking, running, biking, camping and more. 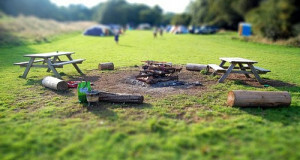 Home / Camping / Planning A Camping Trip? Try These Tips! A lot of people have the idea that camping means bug bites and boredom. 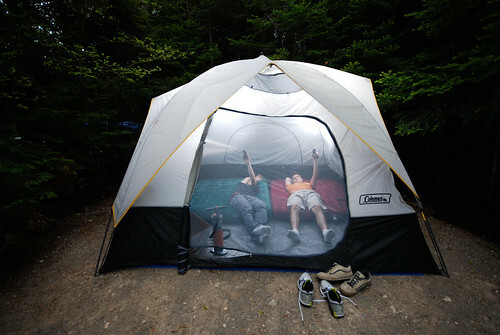 Your camping trip doesn’t have to be like this! By planning a bit in advance, your camping trip can be bug-free and deliciously enjoyable. Keep on reading to gain knowledge of how you can enhance your next trip. It is better to over-pack than to under-pack, especially for kids. Going camping can get really dirty. Your kids may love playing around in the grass and dirt. This means that by day’s end your children and their clothes can be quite soiled. Be sure to pack some extra clothes for your kids in case this happens. Always prepare! Examine your medical insurance policy. 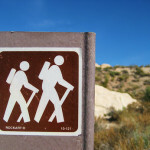 You may need an additional policy when you are traveling on your camping trip. This is especially true if you are traveling out of the country. Be sure that you prepare yourself in case anything happens! Combine your camping trip with some swimming. Any time you go camping, you are likely to miss taking a shower. Swimming can help you feel a little cleaner. Oranges can be used as a food source and a way to repel mosquitoes while you camp. Use the peels to rub your body down. It is a low-cost, chemical-free way to keep bugs away. It is important that you remember all the camping gear when going on a trip. Forgetting something important, such as a sleeping bag, is a terrible feeling. Check and double check your list to ensure that you pack everything you need. 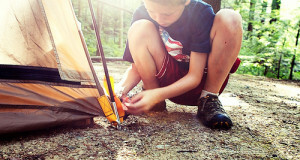 Camping is fun for children, but make sure to plan out some extra activities they will like. If you’re out in the middle of nowhere with nothing to do, boredom will set in. They may not be familiar with things like fishing, putting up a tent or otherwise roughing it. If you don’t normally spend time outside, show them before you go camping. Are you a new camper with a brand new tent? 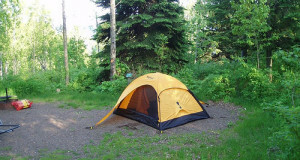 Spend time practicing pitching a tent prior to leaving for your trip. This will allow you take an inventory of all the necessary equipment needed to set up the tent. Doing this will help you pitch your tent quickly, just in case you get to your campsite when it starts to get dark. Be sure to avoid draining your flashlight’s batteries on your camping trip. It is not uncommon to accidentally bump the switch and turn your flashlight on when you are digging around in your bag. To ensure that this does not happen to you, you can put the batteries in facing the wrong direction until you reach your destination. If the power switch is touched, the flashlight won’t turn on and you’ll still have full battery power. Bring along extra flashlights, lanterns and spare batteries when you go camping. Many camping spots are remote, so there will not be a glow from city lights guiding you in the dark. You can use light to make sure you’re not going to fall over due to the terrain, or run into a wild animal. It is a great idea to bring one flashlight for each person, especially when camping with children. When you are camping, be sure you choose the right sleeping bag for the site conditions. In warmer weather, you will probably want a lightweight sleeping bag, whereas in cooler weather, you will probably want a heavyweight sleeping bag. A good sleeping bag will cling to the human body and help it to retain as much body heat as possible. Pack plenty of jerky and trail mix when planning for a camping trip. After a long and tiresome day, you may want to eat these nutritious snacks instead of cooking. Because these items will last a while, you don’t have to eat them right away if you don’t want to. A camping trip could be a relaxing, tranquil experience, or it could end up being a vacation from hell. Preparation makes all the difference. Being ready to tackle any situation that may arise will allow you to have an enjoyable trip. You can now see that camping can be a lot of fun. Apply what you’ve learned here to your next camping trip. By learning what you can, you will avoid negative situations and enjoy the benefits that camping trips offer. 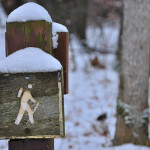 © Copyright 2013 - 2018, OutdoorImpuse.com All Rights Reserved.